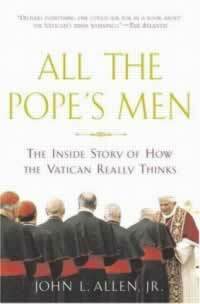 I received a review copy of John L. Allen Jr’s All the Pope’s Men: The Inside Story of How the Vatican Really Thinks This is probably a book I would have probably never picked up due to the title. The title along with the subtitle to me seems a little off putting and possibly a very critical look at the Vatican. 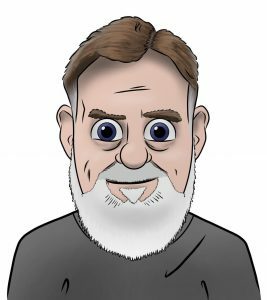 Though I generally do enjoy John L. Allen Jr’s coverage of the Vatican which normally is very balanced and informative. I found the book to be a very interesting read. As a convert I have picked up little pieces of information here and there on how the Holy See operates along with the basic structure. The first chapter in and of itself is a good reason to read this book. Vatican 101 gives a broad overview of the Vatican especially the various dicasteries. An overview of the purpose and function of each of the dicasteries is discussed a long with various positions such as Secretary of State and other support offices. The next chapter points out and discusses what he calls the Top Five Myths About the Vatican. Addressed is the fact that most reporters think of the Vatican as some cohesive whole or how they confuse a personal opinion of someone working in the Curia as "Vatican says." He also addresses who’s in charge, Vatican secrecy, Vatican Wealth, and the charges of the predominance of ladder climbing. All of this rebuttals to these are in depth and I especially found informative the section on Vatican wealth. He made the comparison that the Vatican operates at half the cost of Notre Dame here in the states and goes on to address the material worth of the churches themselves and the art within. All of the priceless pieces of art are itemized at $1.00 since they really can’t be sold. Other chapters include Vatican psychology, sociology, and theology. The chapter on Vatican psychology covers what he classes as the Top Ten Vatican Values. I think his writing on this is very insightful on the values he picked out and a great aid in understanding how many in the Vatican see their service. There is also much discussion on the gap between how much of the Vatican sees things compared to other countries. The focus though is primarily between the Catholic Church in America and the Holy See, though much of the gap applies equally to most countries. America being on fast-food time think everything must happen at a lightning pace and think the Vatican should do the same. That whatever happens in the Church in America must become the Vatican’s priority despite the fact that the problem might not be be the same in the rest of the world. The last two chapters address the sexual abuse scandal and the war in Iraq listing detailed examples of this gap in understanding. The book was apparently written while Pope John Paul II was still alive so some of what is in it is slightly dated. The book was reworked to mention Pope Benedict at times, but mostly this has no effect on the value of the book. One of the dated items I found funny was the mention of the fact that Pope’s don’t give interviews. True enough at least before Pope Benedict was elected. I do wish most reporters covering the Vatican would read this book so they would have a better clue what they are reporting on. As a long-distance armchair Vatican watcher I found much worthwhile in this book as far as straight factual information and a better insight into the goings on in Vatican City. In short if you want to learn more about the Holy See and want a highly readable book to do it I can easily recommend this book. Steven Riddle also gives this book a positive review. This is a real must read for anyone who wants to have an understanding of the workings of the Vatican and the cultural disconnest that sometimes happens when Romans and Americans are working on the same problem. Allen’s best and most useful work. Have to check it out. I’m a Presbyterian, so am one step removed, but it still sounds worthwhile and I tip my hat to the True Faith. “All the Pope”s Men”?, well, we’ve had all the King’s Men, the Queen’s Men, and all the President’s Men, so it’s about time. Uh, why must you be curious as a convert? I’m a cradle Catholic and know little about the Vatican. This is a good review and the book goes into my wishlist. God bless. Think Benedict will ever do a Barbara Walters interview? I read this book when it first came out over a year ago and found it to be an excellent, balanced and fascinating book into the workings of the Roman Curia and its service to the Church and the Office of the Holy Father. Widely sympathetic to the Holy See’s mission (unlike so many who have a suspicion of the things Roman) and well-informed, this book opened my eyes to John Allen Jr’s come-around since his first book about Cardinal Ratzinger. Well worth a read and a place on any Vatican-watcher’s shelf. G, the answer is, yes, when it’s John Allen Jr.